Is there anything more Southern than sweet tea and bourbon? Well, what if you were to mix these two together to make the ultimate Southern sipper? Pretty ingenious, right? We thought so, too, when we spotted it on the menu at Milkwood Restaurant in Louisville, Ky. Even better? It’s made for batching up. Summer drinking just got a whole lot easier. This recipe was developed by the restaurant’s manager, Stacie Stewart, who is very particular about her tea: She combines two bags of Luzianne black tea and two bags of Celestial Seasonings peach tea and lets them brew overnight. 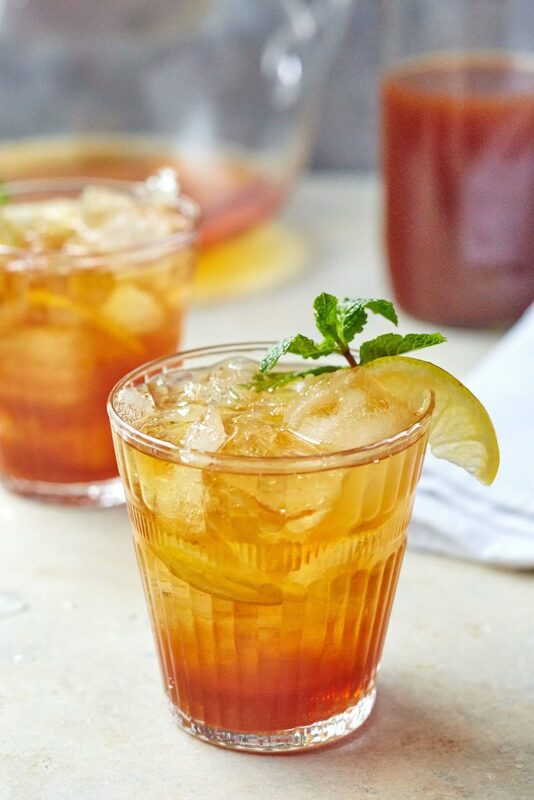 The peach tea adds a nice aroma to the cocktail and an undeniably Southern summer flair. If you’d rather serve a classic sweet tea and bourbon cocktail, simply substitute one extra family-sized black tea bag for the two peach-flavored ones. 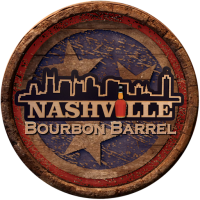 Stewart is also particular about her bourbon — Buffalo Trace is her brown spirit of choice — but, of course, feel free to substitute your favorite bottle. The drink gets sweetened with simple syrup, which is easy to make at home using a one-to-one ratio of sugar to water. Stewart’s recipe is actually pretty restrained in terms of it sweetness, but you can adjust it to your taste by adding more or less simple syrup. Add a few lemon slices to the pitcher to dress it up, and presto! A crowd-pleasing cocktail that tastes like the South. Combine the water and tea bags in a large pitcher or jar. Cover and let the tea steep at room temperature for 8 to 12 hours. Remove the tea bags with a slotted spoon. Add the bourbon and simple syrup to the pitcher and stir to combine. For each drink, fill a tall Collins glass with ice and pour in 1/2 cup of the cocktail. Garnish with a wedge of lemon and sprig of fresh mint (if using). Recipe notes: The tea can be made up to three days in advance. Refrigerate after steeping. Refrigerate the mixed cocktail for up two days.